As the healthcare professionals who spend the most time at the bedside with patients, nurses must be present and engaged to be successful caregivers. The best nurses are engaged during their conversations, act with genuine care and concern, and make each patient experience feel personal. But it is not easy to be present every minute of the day, with every patient, all the time. Use the following four tips to help re-center your interactions to be present with your patients. Making time for a mental refresher when transitioning from one patient to another will help keep your attention focused with each interaction. Even if you only have a moment or two, you can practice mindfulness before entering a patient's space. The goal is to not let the stress of a patient or long shift affect your next patient visit. Stop, take a deep breath, refocus and enter the room ready to engage. Hospital rooms are not always a cozy, quiet atmosphere to have an important conversation, or even to have a casual check-in with a patient. There may be other people in the room making noise, a TV turned on in the background, or simply the hustle and bustle of the hospital outside the nearby door. Take the time to close the door and ask to turn down the TV. Then, stand close to your patient, maintain eye contact, and use gestures to keep their attention. This must-have skill will help you understand patient issues and formulate the best solutions. Active listening can help diffuse conflict and it will earn the trust of your patients. Not only is being a good listener a sign of clear attentiveness, it also shows respect and genuine interest with your patients. Do your best to remember that active listening skills will help you perform at the highest level and are appreciated by the person you are interacting with. If you start to feel stressed or overwhelmed, remember the human side of things! 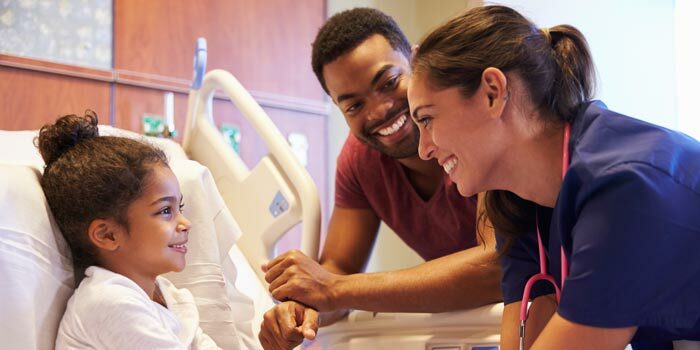 All patients need some form of special care and assistance during their stay, and you have the power to give them a positive experience with your presence and actions. You know what your patient is going through, even if it's difficult to put yourself in their shoes. Make a conscious effort to imagine the reality of their situation, then determine how you can make a difference – big or small.